Although he’s Megadeth’s newest guitarist, Kiko Loureiro is no newcomer to the metal scene. He has deep roots dating back to his band Angra in the late ‘80s. Surprisingly, though, Loureiro wasn’t immediately interested in shredding — he actually got his start on a nylon-stringed acoustic guitar. Loureiro was only a youngster when he started playing the guitar at age 11, plucking on a classical guitar in his hometown of Rio de Janeiro, Brazil. But after two years, the young guitarist moved on from nylon strings to the electric guitar, spurred on by his love of Joe Satriani, Steve Vai, Paul Gilbert and Jimi Hendrix. By age 16, he was giving private lessons to friends, but he still hadn’t gotten his hands on his first Ibanez. When he became aware of the black market for foreign guitars in Brazil, he jumped at the opportunity and snagged his first Ibanez, just like his musical heroes had. And from there, the rest is history. He founded the power metal band Angra and has since become known in the metal community for his incredible technical skills. But how does he stay sharp? Practice, of course. Loureiro does many basic exercises before each show he plays. As a lefty, he really has to pay attention to his right hand, so he does some basic picking exercises first. Then he works on fast-paced scales to warm up his left hand. Finally, he practices each solo very slowly. He says this highlights problem areas in his playing, showing him where he really needs to focus his efforts. Thanks to this practice, his skill has become renowned — so much so, in fact, that Ibanez reached out to him to collaborate on a signature model. Of course, Loureiro jumped at the opportunity. 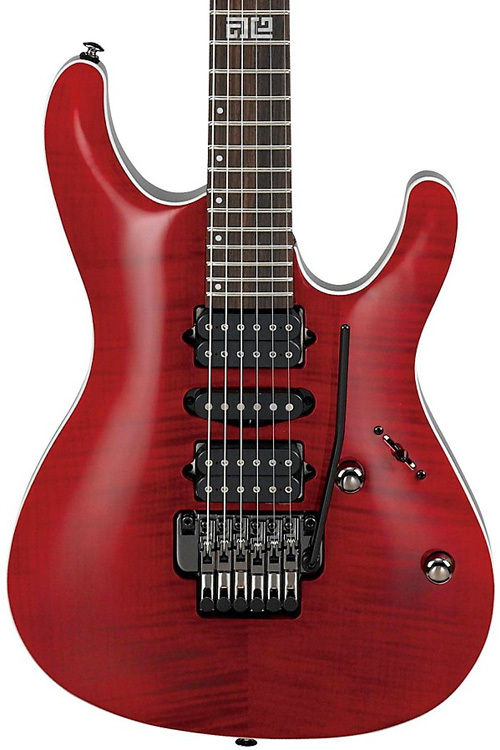 The creation of his Ibanez signature models, the KIKO100, KIKO10P, and KIKOSP2, was a labor of love, and the guitarist had to make many tough choices about incorporating many elements the he loved in other Ibanezes into his signature models. Watch Reverb’s interview with Kiko Loureiro to learn more about the guitarist, his playing philosophies, the nascent stages of his guitar-playing, his signature Ibanez models and more.